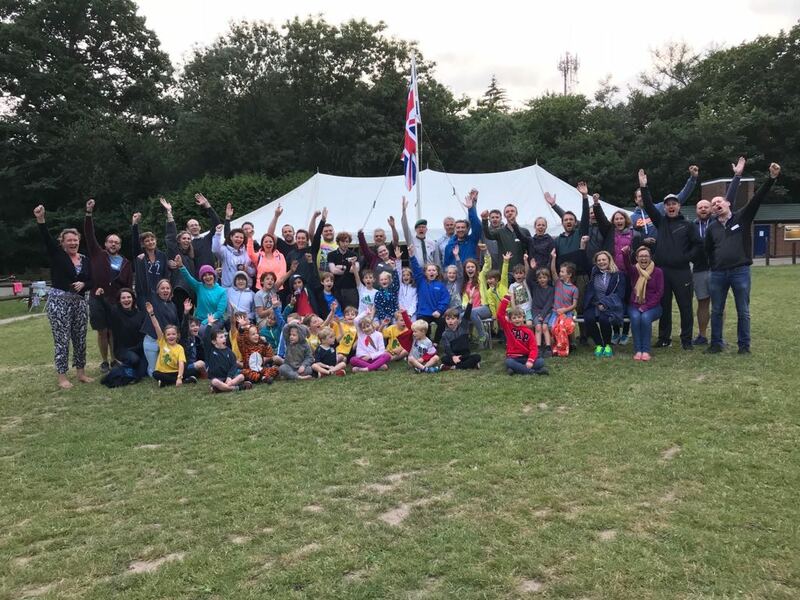 This weekend we have held our annual family camp where over 60 cubs, beavers, scouts and adults enjoyed a full programme of activities and Andy’s unique rounders game and campfire. Due to the organiser’s mix up over dates 22 of our scouts/explorers were also camping this weekend at the Richmond District’s Water Weekend at Thames Young Mariners in Ham. The date being moved a week later left us with an unexpectedly busy weekend with scout leaders spread between the events. Hopefully everyone that camped is now fully recovered from the action packed weekend, wherever they were. It all seemed to go well and the weather was kind to us. Thank you all for making it such a great weekend and a big thank you to all “The Crew” at Family Camp made up from volunteers from Pulse (former Hampton Explorers), Roger (Aka Andy our GSL) and Tic Tac – without whom the weekend would not run as smoothly. Next year’s Family Camp is booked for Friday 21st – Sunday 23rd June 2019 and all the details are in the camps section – would be great to see another big turnout from all the families involved with the group. (I have been reassurred that the water camp will be the weekend before – so would be great to see some more scout families in attendance as well).